Everyone and their mother seems to have heard about the term esports by now. It is becoming more and more mainstream as time passes, and it shows no sign of stopping. But while the growth is going on for esports, it seems that many people newly introduced to the term are conflating it with simply meaning games in general. All esports are games, but are all games esports? eSports . . . is a form of competition using video games. Most commonly, eSports take the form of organized, multiplayer video game competitions, particularly between professional players. If we are just going by the first sentence in that statement most any video game could be considered an esport. Players of different games does not necessarily need to compete against each other in the game, they can also compete as for who can complete a 1-player game the fastest, with the highest score in a given time or any other kind of measurement that the players agree upon beforehand. Although not as common, they still exist. Things like speedrunning may be the most popular form of competition in non-head-2-head games. It does not seem entirely correct to use this label that esports = video games. There has to be a distinction here right? The second sentence provides some more specificity though in claiming that it has to be organized, be a multiplayer video game competition and has to be played between professional players. I think the last part here is key, as the players that are competing should be considered professionals. It can be difficult discerning what constitutes a professional in this case, but in this context I would say that it means that the players in question are making a living off of playing the game. This would narrow down the field considerably as most of these games do not offer prize pools of sizes that can net you enough to live off, even if you were to win them all. Now we are venturing into kinda vague territory as it is possible to be a professional (in terms of our definition) in a game that doesn't pay that well, but you are living in a low cost of living area. Or maybe you are really dominant in your particular video game and scooping all the top prizes which ends up being a livable wage. Very hard to use this definition we laid out to determine if a video game qualify as an esport. 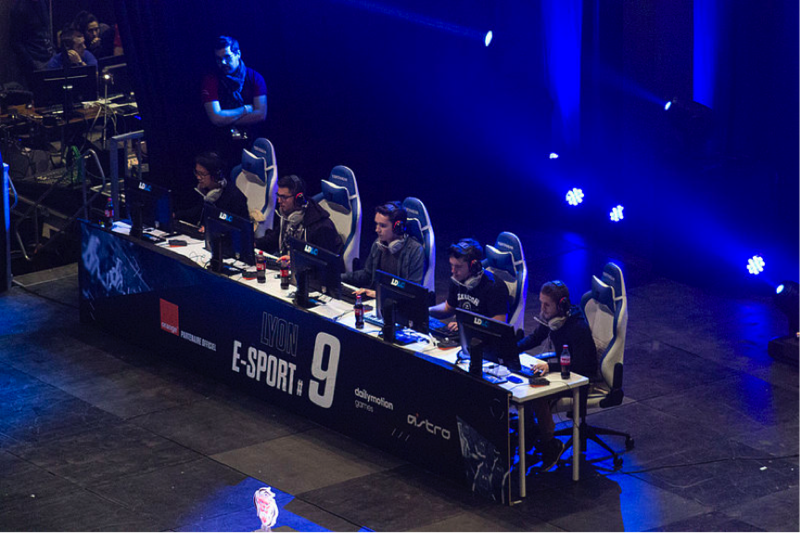 So how can we determine whether a video game could be considered an esport or not? I would use the famous quote by Potter Stewart: "I know it when I see it." And that rings very true. You kinda have to feel it out and people in the industry kinda just "know" if a game is an esport or not. There are no doubts that League of Legends or CS:GO are considered esports, but what about a game like the NBA 2K? People are certainly competing at a high level here, but are there livable wages or revenue provided by playing this game? Probably not. But I would still consider it an esport, although probably at the lower end of the scale given that there are very few tournaments, little sponsorship and viewership for the game, but it still holds plenty of competitive players. Some might disagree with this, and I could see an argument as to why it should not be considered that, but that is what it seems to boil down to: it is subjective. It is not just a given set of rules that determines this, you have to combine them and determine it on it's own merits.